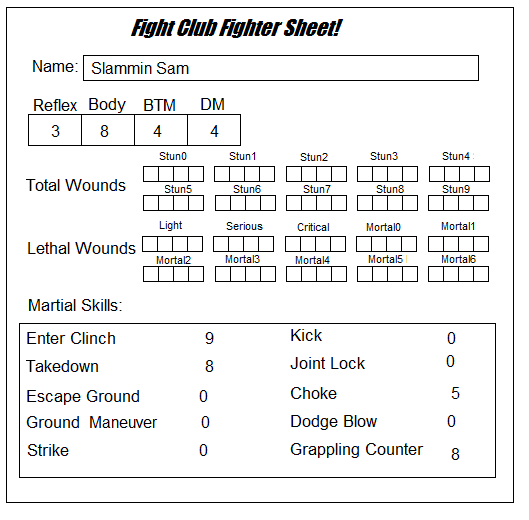 Fight Club playtest #4 was a fairly quick match, before a gaming session, between my friend's Canadian Brawler and my own competitive Judoka. My character quickly threw and then choked-out his opponent. But the most-used skill was Grappling Counter, and this has also been the case in other matches, so I realized that I should make a change. 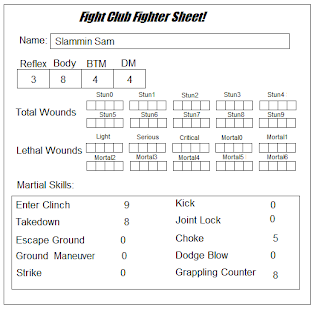 This also makes a certain amount of sense, since a Greco-Roman wrestler would likely have good Grappling Counter, but less of a Submission Counter.